A great single act with a blend of singer/songwriter and comedic entertainer. New to the Tampa Bay area with decades of experience. 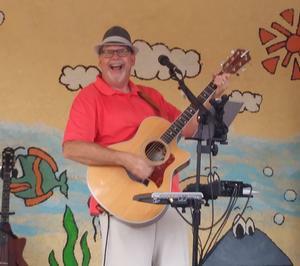 "Pickin' Rick can do it all from dinner music to tiki bars to coffee house folk to outdoor events and more with a unique connection to his audience!" "I really liked that my patrons were singing along and having a good time while you were there!" County, standards, oldies, beach tunes and rockin' fun!